Get the Power of Zen! 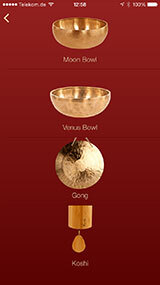 Start your day with incredible high-quality, long-resonating sounds from original Peter Hess® Singing Bowls and Zen chimes. The gradually decreasing chime intervals (follow the "golden ratio") – have a subtle effect on our subconsciousness. The brain activity gradually changes from the long waves during sleep to the shorter waves of being awake. 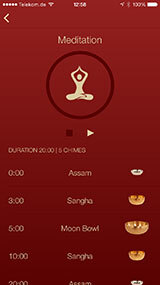 The timer function enables you to perfectly enhance your yoga, meditation or workout practice. Enjoy the nice Zen-style design and easy to use interface. Play the chimes simultaniously brings you a natural and individualy overtone sound. To get fully immersed in the fabulous, uncompressed sounds of i-Qi clock, attach your iPhone to a sound system or use earphones. 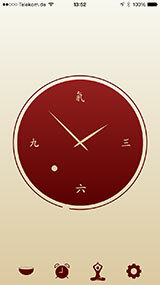 Naturalistic, Zen-style clock display with indicators for alarm and timer functions.